Madonna For President from HRM on Vimeo. 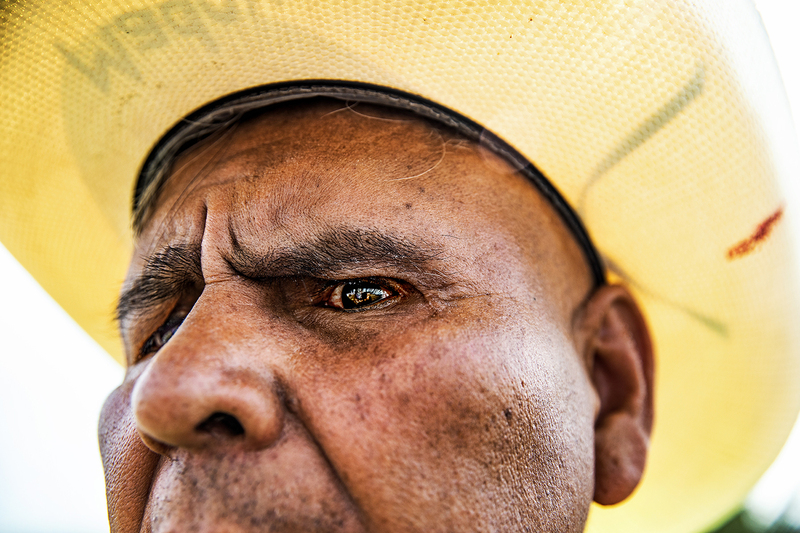 I’m what Cornell Capa considered to be a “concerned photographer.” These days, just about any photographer who is sensitive to what feels like a world of multiplying social injustices must qualify. 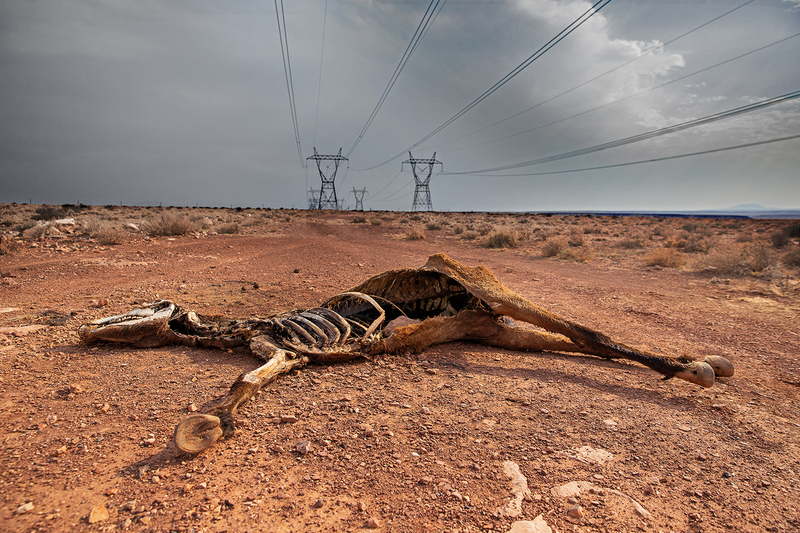 I have a particular interest in protecting the environment as well, and the two go hand-in-hand: we’re beginning a long march, so to speak, toward a period of global climgration, which is impacting and exacerbating a host of critical issues. 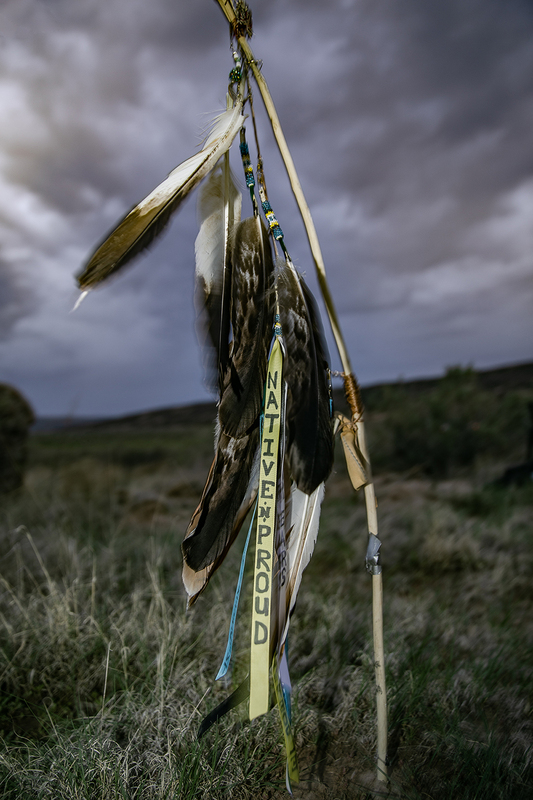 My participation in the Women’s March in Washington, among other human rights events, and a relationship to members of the Lakota Sioux in Standing Rock, ND, as well as the Navajo in the Four Corners region, has produced photography that intends to influence in viewers an empathetic position. Recent time spent in Afghanistan was an intense experience that further drives my sense of urgency to capture and convey the cultural heritage of fragile societies that are on the brink of either destruction or implosion. 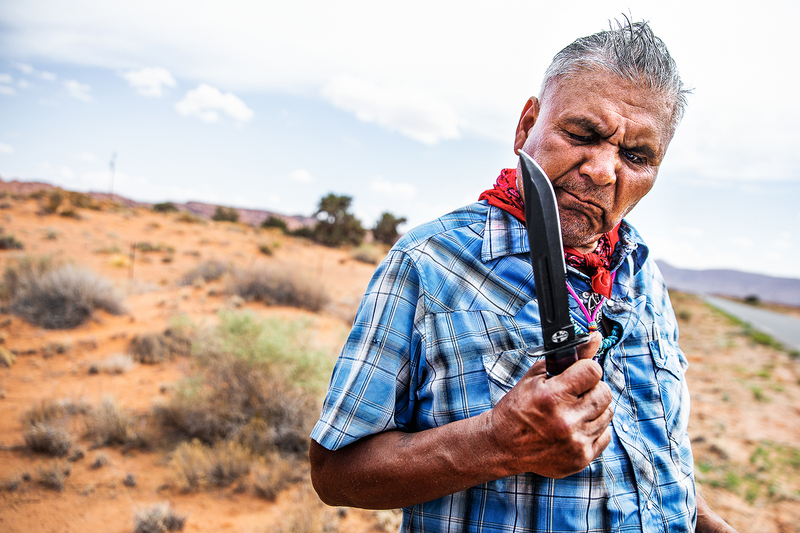 Joey launches the campaign with a tribute to his grandmother, Emma H. Yazzie, who always carried a gun and believed women should stand up for their rights. 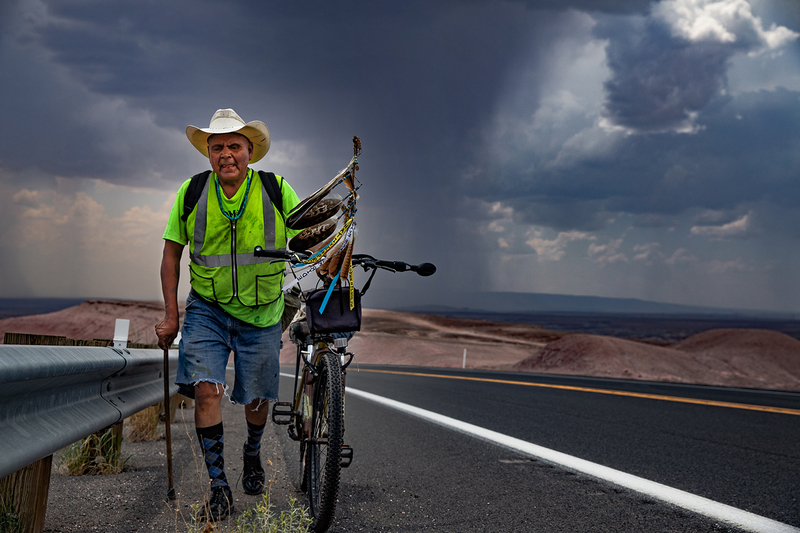 This is the Quixotic journey of Joey Allen, a Navajo Indian who embarked on a mission to ride his bicycle from Flagstaff, Arizona to Monument Valley campaigning for “Madonna for President.” The story of Joey runs deep: a convicted felon, former drug addict and victim of a crash that crippled his hip, Joey sees courage in people who stand up publicly to the injustices of a broken political system. Armed only with a pup tent, shoe polish, Argyle socks and other essentials, like tape, Joey departed Flagstaff, along with his cane and a tattered notebook for collecting signatures, on a quest that concluded 200 miles later at the place of his birth – over the very land the U.S. government forced his people to march during the Long Walk in 1864. 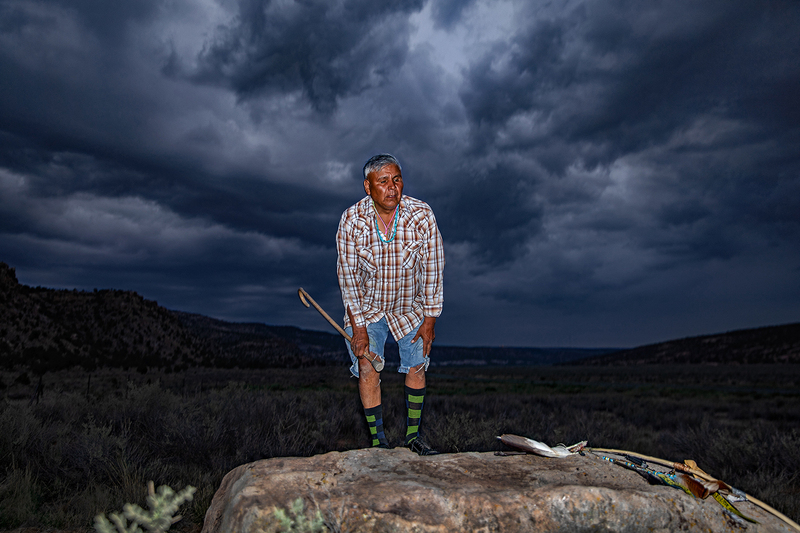 This is a compelling human-interest story that belies the perceived apathy of Native Americans, and Americans at large – and speaks to the capacity of the human spirit, even if it’s contained in the crippled body of a Navajo man stabbing at windmills. 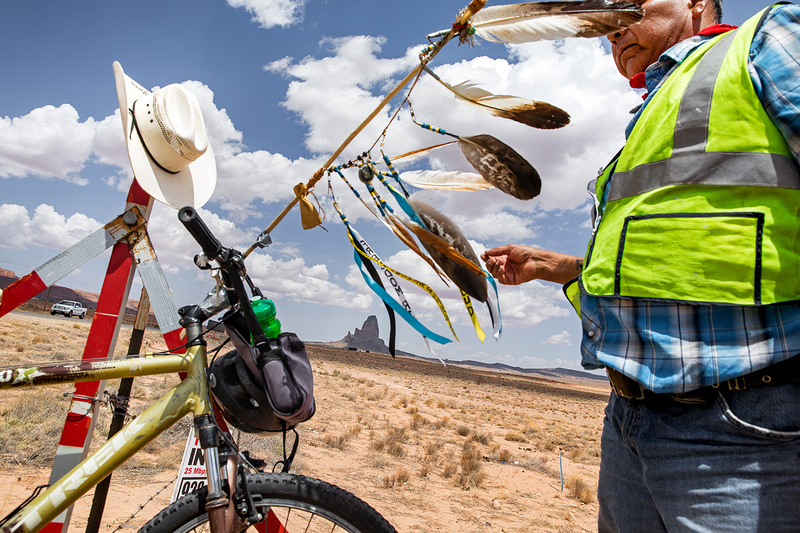 A sacred Navajo staff adorned with golden eagle feathers and assorted amulets is duct taped to the handlebars, pointing the way. Joey plies the lonely road of principle between Tuba City and Tonalea. Joey was forced to attend boarding school as a child, where he was raped by the headmaster and beaten. Following an addiction to drugs and subsequent release from federal prison, Joey turned his attention to helping others and picking up hitchhikers. 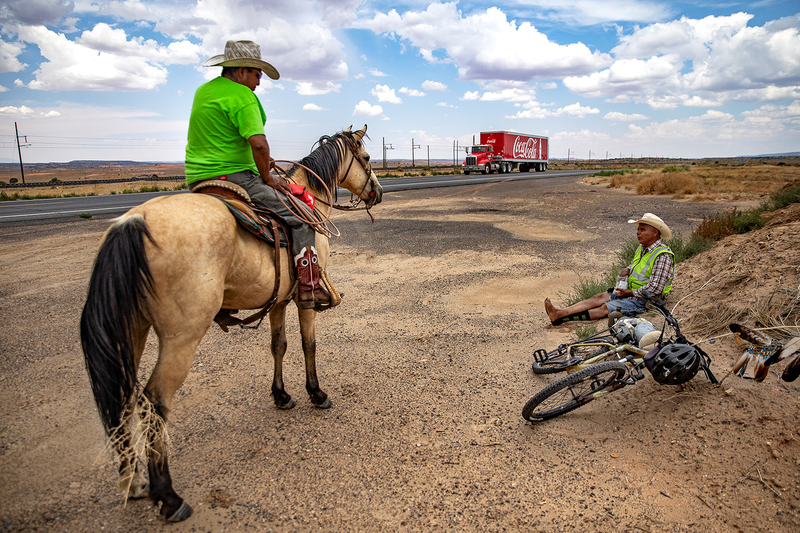 Joey slogs up a hill west of Tuba City after falling off his bike and into the road from heat exhaustion. 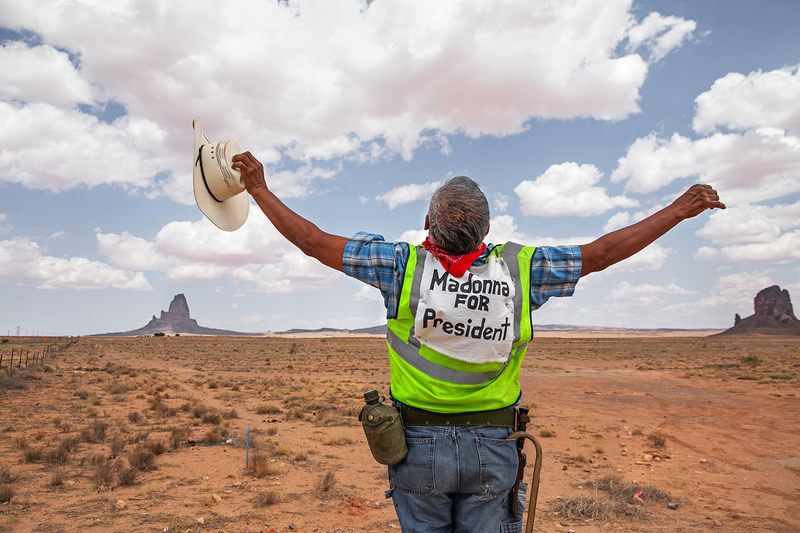 Joey makes camp beyond the road, where he’s pitched a tent painted with the words: “MaDonna For PRESIDENT. You’re Our Only Hope.” The sacred staff is positioned nearby to ward off any potential skinwalkers. Joey struggles to begin the ceremonial process of blessing each of the four corners of earth before invoking the spirit of Changing Woman so that Madonna can fulfill her destiny. Prolonged drought continues to impact Arizona’s high desert, including along Route 89, where herds of wild mustang have descended from Gray Mountain in search of scarce resources. Joey takes the opportunity during a campaign stop to discuss Madonna’s qualifications for president with a cowboy riding fence. 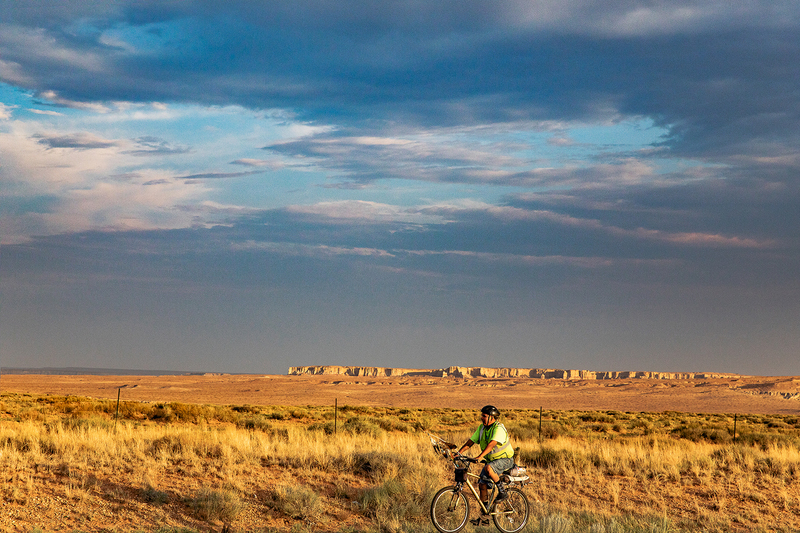 After nearly 200 miles, Joey reaches his final destination in the campaign… and for hope.